One of the most common use scenarios for Docxpresso is Contract Management. Thanks to the Docxpesso flexibility and extensible capabilities it may be used to cater for the needs of individuals, SMEs or huge multinational corporations regardless of their size or specific needs. We have just finished a quite big project which goal is to move towards a “fully digital management” of all the contracts of one of the biggest retailers in Spain (with revenues well over 7 billion euros). At the beginning of the 4th Quarter of 2017 we were contacted by the legal department of this corporation to study the possibility to develop a fully paperless workflow for the generation of contracts with providers and distributors with the help of Docxpresso. In a matter of days and taking advantage of their complete repository of “contract templates” (that were already both in Word and Excel formats) we were able to build a “mock platform” that allowed to manage quite a few of these contracts in their private cloud in a fully paperless fashion, integrating data from their databases and interacting bidirectionally with some of their internal Web Services. Conversion of all of their contracts (more than two hundred types) into Docxpresso templates for their management online via a browser (core Docxpresso functionality). User authentication via the company Active Directory and their Authentication Web Service (that takes care of user profiles and permissions for the different internal applications). Connection to the Corporate databases to recover existing data about products, providers, distributors, logistic centers, etcetera. Generation and integration within Docxpresso of all the validation and approval workflows for the different families of contracts (some contracts involve the management of more than 30 different document templates as well as external attachments). Integration of business logic into the contracts in order to avoid faulty generated documents that should be rejected because of inconsistencies. Creation of a reporting tool that allows to get a bird’s eye view of the general use of the contract management processes/flows involved. In a total time of less than five months our client moved from a fully manual workflow of hundreds of documents exchanged by email or printed in paper, that usually involved an endless back and forth exchange of calls and notifications, to a fully digital solution. easily know who did what and when. have 24/7 access to the whole repository of signed contracts with strict and hierarchical permission protocols. make sure that the templates used conform to the requisites of the legal department. generate all contracts much faster and with fewer errors. Handle all processes in a much more ergonomical environment. Or in a few words: save quite a lot of time and money while working in a more ecological and sustainable fashion. The post LibreOffice Conference 2018 – Talks from Collabora appeared first on Collabora Productivity. I got a further invitation for a workshop of the project SmartCity Duisburg. It focus on creative ideas for the economic development and takes place at September, 27. I’m looking forward to open discussion. On Sept. 13 we were featured at FOSS Weekly where Michael Meeks presented Collabora’s work to bring LibreOffice to the browser. If you want to know more about how it works, the distinctive features etc – check out the interview. The post FLOSS Weekly Interview – LibreOffice Online appeared first on Collabora Productivity. Pleased to my chat with Randal & Dan at FLOSS Weekly published. Booked travel to DINAcon 2018 will be available to do some LibreOffice hackfest'y stuff, and a talk on "How best to migrate to LibreOffice". We have updated our LibreOffice growth infographic for 2018 (previous versions: 2014, 2015, 2016 & 2017), recollecting the most interesting LibreOffice figures and visualizing them in an easy to read and share infographic. Numbers are growing and the Collabora Online Development Edition (CODE) is very popular now, with currently over 7.5 million Docker image pulls! Also, this year we are the top code contributors to LibreOffice with 5302 code commits. We are looking forward to seeing you at the LibreOffice Conference 2018 (September 25 to September 28), where you can meet us and attend one of our many interesting talks! The post Updated LibreOffice growth infographic for 2018 appeared first on Collabora Productivity. Mail; distracted by a bit of hacking for a customer. Marketing & Sales call, ESC call, early dinner, interview. Pleased to see Jona publish our latest LibreOffice Infographic giving an update on what we're doing. Admin; consultancy customer feedback process bits, mail. Band practice with H. in the evening. J. out for new counselling course. Mail chew; sync with Andras, mail & admin. Lunch. Picked E. up from school. Built ESC agenda. Thrilled to get a call from the airline letting me know that my kiwi.com flight had one leg cancelled for 'technical reasons' (its good to be able to predict plane failure a week+ in advance). Offered lots of unhelpful flights that arrive at the wrong time. Re-booked on BA arriving in Tirana a day earlier; fun. Attempted a fix of a sax parser, threading cleanup on exceptions fix during the various calls. Out for a run with J. - locked us out; spent some time re-leading & puttying in the glass pane broken while attempting removal - bother. Mail chew. Occasionally I have to use skype: the customer is always right. When I do - I wonder why they recommend searching for "Echo / Sound Test Service" - rather than providing a helpful built-in link somewhere, and/or why they didn't restratin the rather large number of unhelpful people calling random accounts the same thing - to the point that it's impossible to test your sound; amazing. All the lonely people - where do they call come from ? Luckily skype provides a friendly 'location' breakdown so it's easy to see. Last week I implemented a feature in our help pages using a modern CSS (Cascade Style Sheets) technique when hovering the mouse pointer on icons displayed in the page: the hovered icon is enlarged twice its size. Almost every icon in the help pages are sized 0.22 in x 0.22in (~0,5cm x 0,5cm) which is sometimes a bit too small, especially with minimalistic designed icons such as the Colibre icon family. Enlarging the icons helps user to visualize and since it was implemented in CSS, there was no need to change the icons dimensions in the source help pages. To see it working, please check this page and hover the mouse on icons. 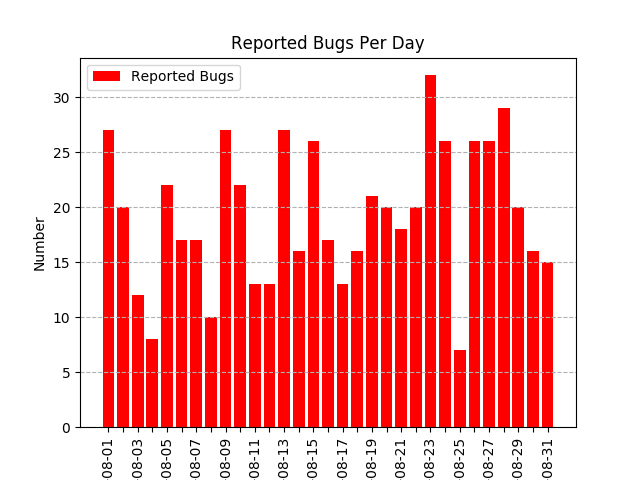 599 bugs have been reported by 335 people. 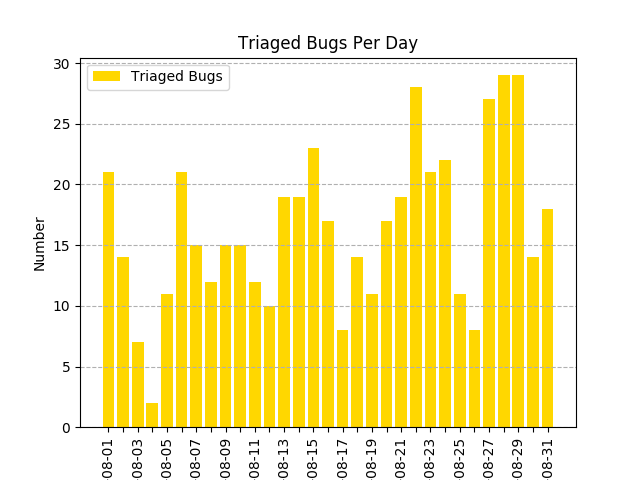 509 bugs have been triaged by 72 people. 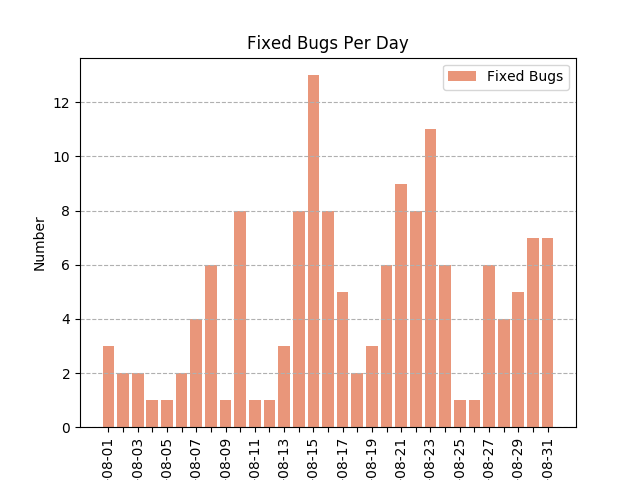 145 bugs have been fixed by 31 people. 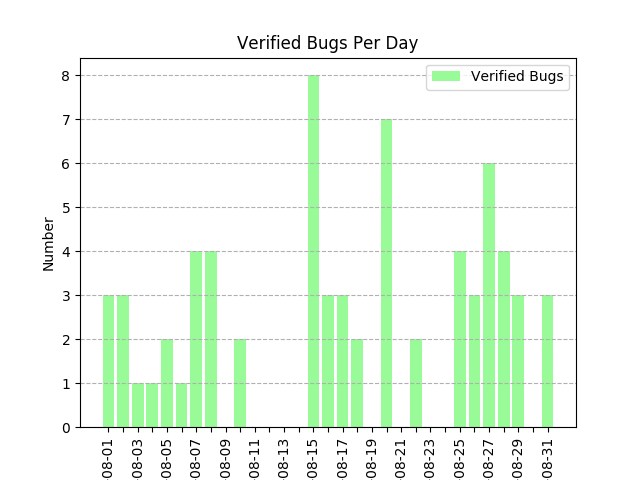 69 bugs have been verified by 47 people. 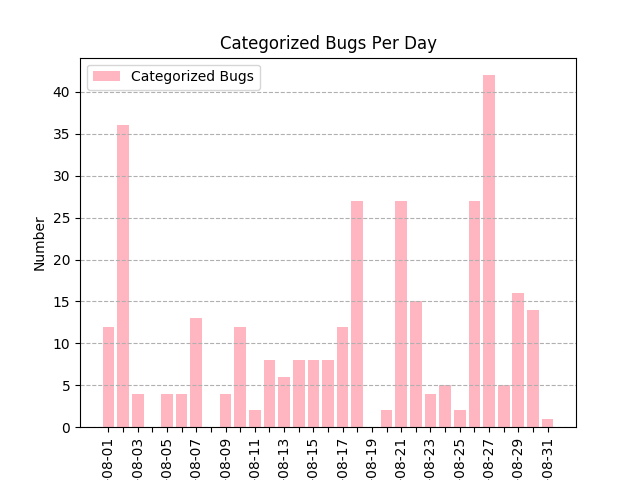 328 bugs have been categorized with a metabug by 20 people. 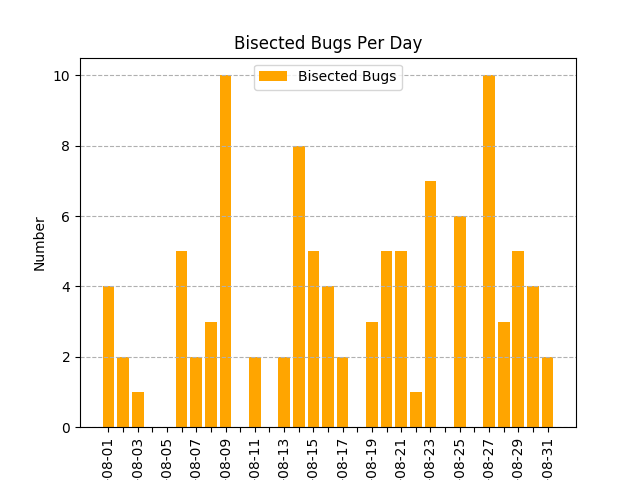 101 bugs have been bisected by 9 people. Join us and help to keep LibreOffice super reliable! Check the Get Involved page out now! 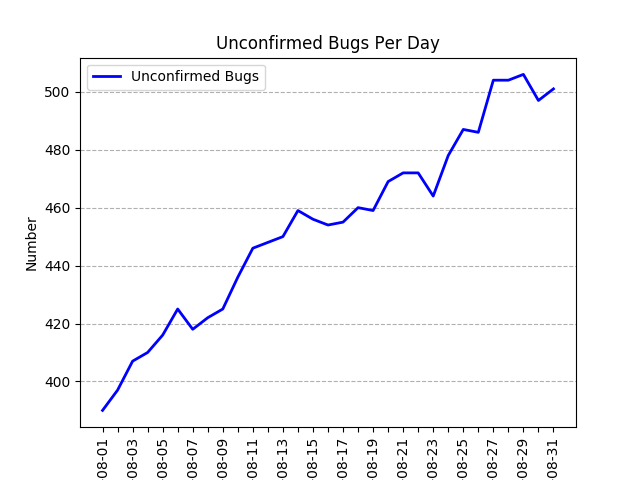 The post QA Report: August 2018 appeared first on LibreOffice QA Blog. I am trying to find a placeholder in an ODT-Document. Therefor I am using the Apache ODF Toolkit - Simple API. My Problem is, that this search doesn't find my String. But it works when I remove the $ from the TextNavigation (new TextNavigation("TestString", doc)). * Information technology companies like [[Apple Inc.]], [[Adobe Systems]], [[Google]], [[IBM]], [[Intel]], [[Microsoft]], [[Nokia]], [[Novell]], [[Red Hat]], [[Oracle Corporation|Oracle]] as well as other companies who may or may not be working inside the OASIS OpenDocument Adoption Technical Committee. * The free office suites [[Apache OpenOffice]], [[Calligra]], [[KOffice]], [[NeoOffice]] and [[LibreOffice]] all use OpenDocument as their default file format. 23 August 2018 – Rex Brooks and Robin Cover were honored by the OASIS open standards consortium as Distinguished Contributors in recognition of their accomplishments as leaders, consensus builders, and evangelists the advancement of open standards. Up in the night. Rather encouraged to read Bradley Kuhn's take on Gerv Markham's movement into the second phase of his mission to Glorify God, and enjoy him forever cf. going home. I'm particularly encouraged that someone in the feminist wing can have learned something new of the meaning of tolerance and mutual respect - it cheered my early morning. Pleased that at least in an earlier era of the web when the ochlocracy was only starting to tool up - that good people stood up and kept Gerv's head off the plate, unlike another notable historic critic of marriage ethics. Will really miss meeting up with him at FOSDEMs variously, and his refreshing perspctive on many topics and friendly advice. Mail chew, bits with Victor, partner call. Pleased to see Jos' thoughtful analysis of open-source engineering and the value of communicating directly with the relevant engineers doing the development. Plugged away at this & that, interview with an old friend. ESC call - sadly the alternating Thursday / Wednesday slot seems under-loved. I just submitted a patch for LibreOffice Help to document the Compress Image feature. 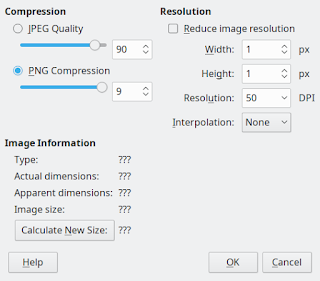 The Compress Image feature is active when an image is selected and you want to change the data size of the image, at the expense of a optional and controllable loss of quality set in a dialog box. 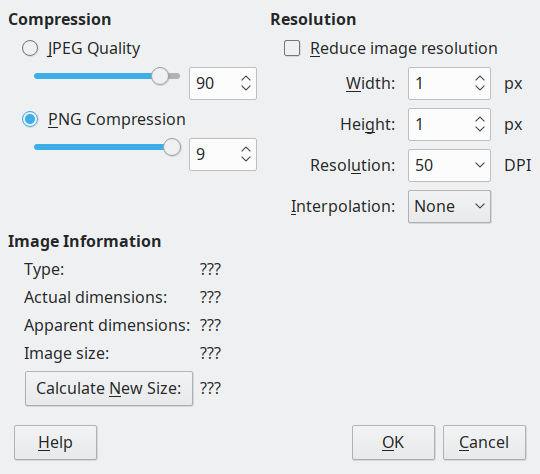 Compressing is useful if you insert a high resolution image in a document. For example a 4000x4000 pixel image in bitmap format (BMP) is approximately of 48MB size, which can turn you document edition hard in constrained-resources computers. By compressing the image with the right format and quality index you can reduce the size of the picture with no loss of visual quality and have the document file much lighter to edit. More bits with Victor; monthly mgmt call, lots of admin; partner call late. Meet us this weekend in Berlin, Germany! Collabora will be attending the Nextcloud conference â an annual conference that brings the global Nextcloud Contributor Community together for a week of coding, design, discussion, talks & fun. The conference will be held from 23 to 30 of August 2018 in Berlin, Germany – at the Mathematics building of the Technical University of Berlin. During the hackweek days participants will get together to code, write Nextcloud apps, improve design etc. On the weekend of August 25 and 26, will be different talks, keynotes, and workshops. Our own Tor Lillqvist will be there to talk about Collabora Online. His talk will be on August 25 at 11:32 AM and will present the work we have done on Collabora Online during the last year. Check out the agenda for more details. August 27, will be the Enterprise Day that takes place the day after the Nextcloud conference and features a track of technical sessions covering a wide range of enterprise use cases. Michael Meeks will have a talk about Collabora Online – if you want to know more about us feel free to attend his talk at 11:30 – Park Inn at Berlin Alexanderplatz. Do you have any questions, feedback or you just want to hack with us? Let’s meet in Berlin at the Nextcloud conference – drop us an email at hello@collaboraoffice.com and we would be very happy to meet you there. The post Meet us this weekend in Berlin, Germany! appeared first on Collabora Productivity. Mail chew, Victor arrived - worked on getting him setup. Failed to make Ubuntu's iceccd work with SUSE's - annoying. Eventually moved machines around to have something working. Consultancy and Product team calls. Babes cooked a fine meal in the evening with Julie for us - lovely. 20 August 2018 – The Key Management Interoperability Protocol (KMIP) and the Static Analysis Results Interchange Format (SARIF) were both awarded the 2018 Open Standards Cup by the OASIS international consortium in recognition of exceptional advancements within the IT community. Frage: Ich habe ein Anmeldeformular gestaltet, das ich als PDF-Formular zum Download anbieten will. Im Mac App Store finde ich nur obskure kostenpflichtige Titel. Gibt es eine günstige zuverlässige Methode, interaktive Formulare am Mac zu erstellen? Last weekend (precisely, Aug. 11th and 12th 2018), COSCUP x GNOME.Asia x openSUSE.Asia 2018, one of the largest FLOSS-related conference in Eastern Asia this year, has done with huge success, gathered many attendees not only from Asian regions but also outside of Asia. I had only attended the Sunday the conference because of unfortunate reason, but I really had enjoyed the day! The slide of my presentation for openSUSE.Asia track is here. 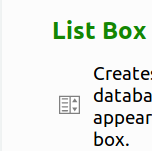 As the title mentions, I would like to tell average Linux users to use the modern packaging system (in this context, Flatpak or AppImage) instead of using TDF rpm/deb packages with dnf, zypper or apt, if you want to follow a latest Fresh version of LibreOffice. Some reasons it couldn't attract many people, It was a good opportunity for me to summarize these systems. Right now I haven't switched them from distro-official one (LibO 6.0) on my Ubuntu bionic desktop yet because of my laziness, but I'll move to Snap or Flatpak, not using classical PPA build. Shinji Enoki also from Japan had a talk to summarize LibreOffice CJK issues status and said so many thanks to Mark Hung, who is solved several CJK issues in LibO 6.1. Of course, I also would like to say thanks to him :). In this session, we had a little time to discuss how to encourage each language community (for us from Japan and Daehyun Sung from South Korea, or else). Of course, it's a difficult question to answer, but we can do something together to do so I guess. What we can do with is a good discussion point in Tirana I guess ;). [UPDATE 2018.8.16] I forgot to mention one more thing which is important for Japanese users; Support new era (next to Heisei) of the Japanese calendar. Mark Hung also tell us this has been already (almost) done and may need a small modification after the new era will be decided. Here is a commit https://gerrit.libreoffice.org/#/c/58142/. Thanks, Eike! And we have a small booth to introduce Japanese FLOSS communities (to me, LibreOffice and Selenium users community JP) for (mainly) Asian people. Advertisement: Selenium world conference SeleniumConf 2019 will be in Tokyo. We are preparing the site for now, and Call for proposal for sessions will be opened soon. I only had one day (because my flight 10th evening was canceled and the extra flight departed 11th evening) but really had a great time. Thanks, friends who I met and see you around!